Schedule your session between now and Christmas and the proceeds will go directly to our adoption fund. These bags and accessories are sooo cute! A portion of the sales will go directly to our adoption fund. 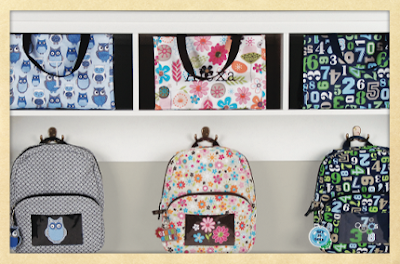 Get a great bag and help us bring Cadence home at the same time. To make sure your order goes to me, click on the "Place an Order" button on the top of the page then shop under my fundraiser. If you have any questions just let me know. Click on the picture to start shopping! This fundraiser will be ending on September 28th. I was expecting it to take so much longer, but our dossier has been delivered! It was sent out on Friday, September 3rd and was delivered today, September 8th. We received an email last Friday from America World with details and tracking information for our dossier's trip to Ethiopia. In the email we were told not to worry if the package made stops in Europe and other countries for long periods of time. We were also told that the staff representative would come to the FedEx office to pick it up and that it could be a few days before she did so. I'm so thankful that we didn't experience any of these delays! I've been checking all day and the email finally came at 2:07pm! We are DTE (Dossier to Ethiopia) 9/3/10. This means that our dossier is on its way to Ethiopia! YEAH!! It's no secret that adopting a child is expensive. We've tried to come up with different ways for our friends and family to be involved along the way. We would love any support you could give. We know God has called us to adopt our little girl from Ethiopia and we know that He will provide the way. 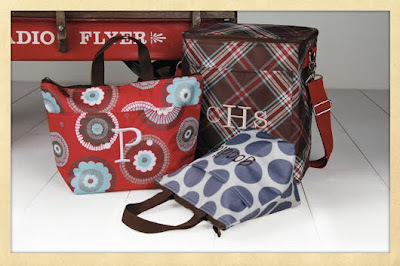 We are doing a great new fundraiser with a company called Thirty-One. My sister is a consultant and wanted to do a fundraiser for us and I'm so excited about it! This company has the cutest bags and accessories! A portion of all the sales will help with our adoption expenses. This fundraiser will run from today, September 1st through September 28th. All orders will be shipped after the 28th. You can save on shipping by having the order sent to me (if you live in Omaha). This would be a great time to start thinking about Christmas presents! Click on the picture below to start shopping. Make sure to go to "Place an Order" at the top of the page and shop under my fundraiser so the proceeds will go to us.